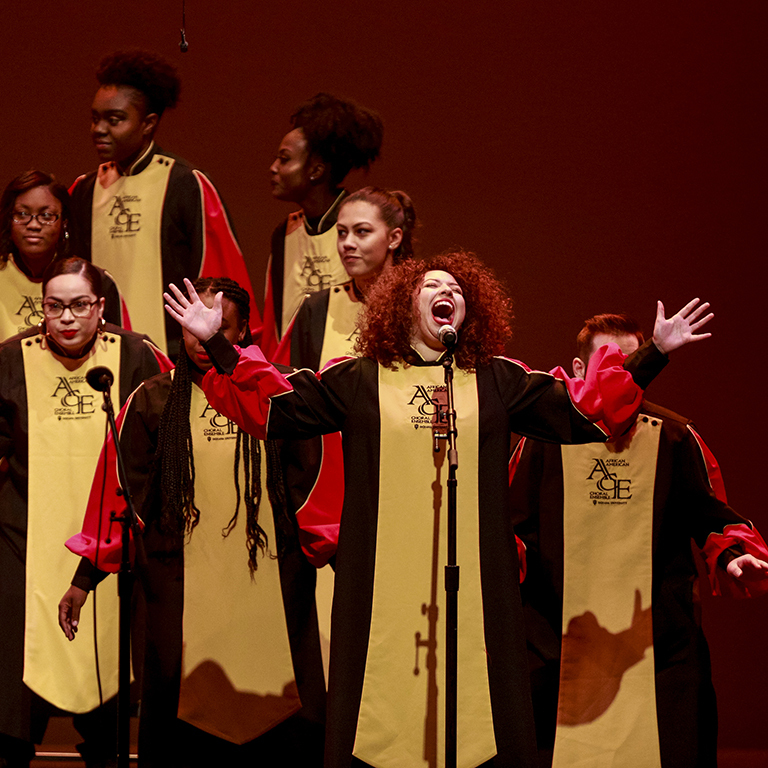 The African American Choral Ensemble features a broad repertoire of spirituals, traditional and contemporary gospel music, and formally composed works by African American composers. 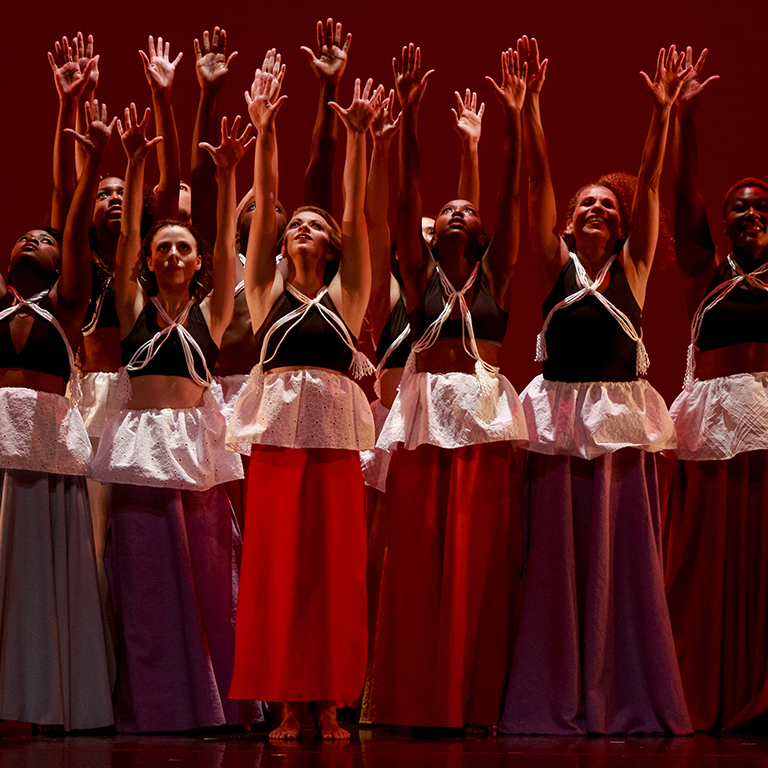 The African American Dance Company shares movement traditions and dances from America and the African Diaspora, including African, contemporary, hip-hop, jazz, and other cultural forms. 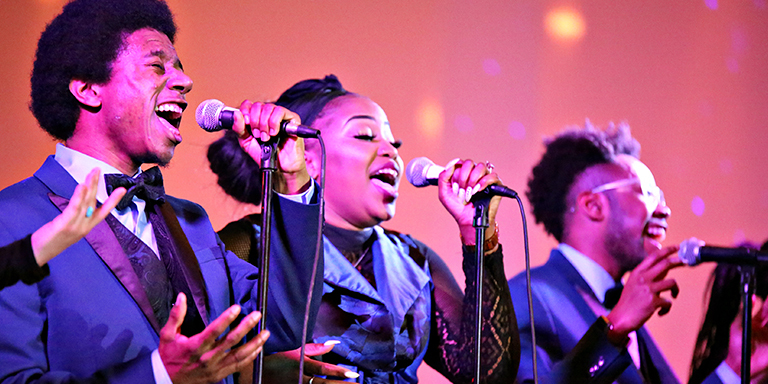 The IU Soul Revue performs timeless R&B, soul, funk, and contemporary Black popular music styles. I gained musical, academic, and social capital as a student in the AAAI. I learned about my culture and the soundscape we, African Americans, have created here in America throughout generations and is shared throughout the world. Open auditions are held each semester. No previous formal training is required to audition. The ensembles are courses offered through the Department of African American and African Diaspora Studies, so students earn credit while doing what they love. Audition Requirements: Prepare one piece to audition and plan to learn and perform a piece with the ensemble. No previous experience required. Instrumentalists must contact the director, Raymond Wise, at wiser@indiana.edu. Contact Director Wise at wiser@indiana.edu with questions. Class Day & Time: Mondays and Wednesdays from 2:30–4:00 p.m. in the Neal-Marshall Black Culture Center Grand Hall. Audition Requirements:Wear non-constricting clothing. Be prepared to learn, move, and sweat; and to remain for the entire audition. No formal dance training required. Do not prepare a routine. 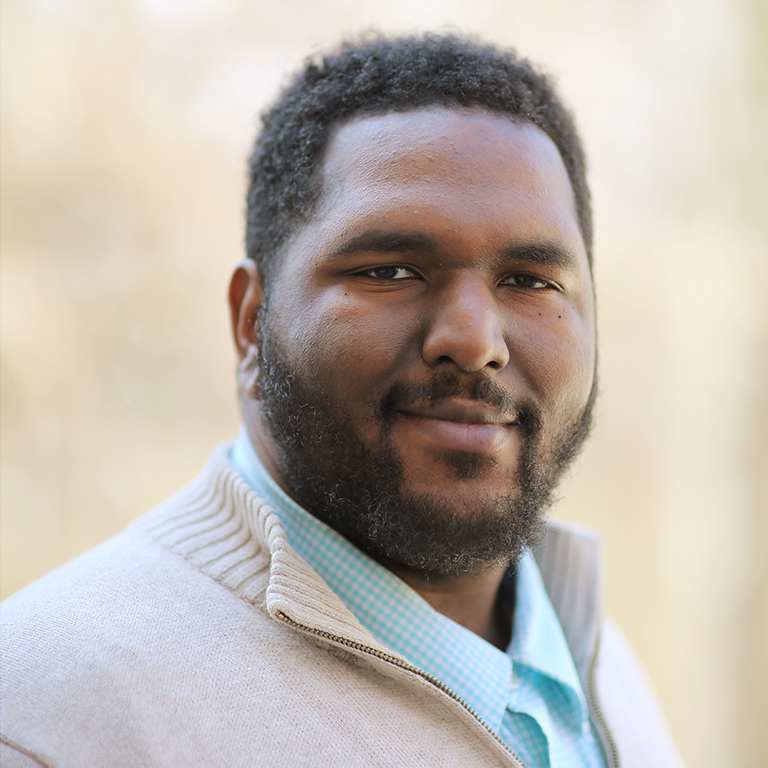 Contact Director Berry at berryst@iu.edu with questions..
Class Day & Time: Tuesdays and Thursdays from 3:30–6:30 p.m. in Neal-Marshall Black Culture Center A217. Audition Requirements: Prepare one R&B, Soul, Funk, or Gospel song that best demonstrates your vocal or instrumental abilities. Contact Director Strong at jamestro@indiana.edu with questions. Class Day & Time: Tuesdays and Thursdays from 3:30–5:30 p.m. in the Neal-Marshall Black Culture Center Grand Hall. Vocal sectional rehearsals are Mondays 7:00–9:00 p.m.